Publisher’s comment: The information on this page has been somewhat controversial. Some safety experts feel that it is unrealistic or even unsafe to compare laser risks with other devices and activities. They feel each risk should be managed on its own. -----1) Laser safety does not exist in a vacuum. Funds for safety are limited. An agency such as FDA and those overseeing them -- ultimately, the American people -- must decide how much effort to put into lasers versus other public health hazards. Looking at relative injury rates, and injury severity, can provide some guidance as to how best to allocate scarce funds. -----2) Every product and every activity in our society carries some risk. Whether it is automobile driving, household knives, roller coasters, fireworks or laser pointers — unfortunately there will always be some accidents and some deliberate misuse. This is because 100% safety is impossible. Comparing laser incident numbers with those from other devices and activities can give the public a better perspective as to lasers’ relative risks in society. A laser safety expert told LaserPointerSafety.com “I think this number has increased significantly since Iraq and Afghanistan,” apparently due to injuries suffered by military personnel in a war zone. It is not known how many were caused within a military’s own laser usage (accidents) and how many were caused by enemy forces (deliberate actions by hostile persons). Incidents and accidents: There is no central database for all laser-related incidents. See the LaserIncidents.com website for a list of databases that compile incident and accident reports. Injuries from momentary (accidental/unwanted) exposures: According to the U.S. Food and Drug Administration (FDA), as of April 2012 the FDA has never received a report of eye injury from momentary exposures to laser pointers of Class 2 and 3R power (e.g., below 5 milliwatts). Injuries from deliberately-caused exposures: Many proven or credible reports of laser eye injuries to the general public are self-inflicted -- often by youths who do not realize (or care about) the consequences. FDA has heard of injuries caused when a person intentionally stared into the beam for a prolonged period of time. For laser injury reports from LaserPointerSafety.com, see these links: aviation-related injury reports, non-aviation reports, other reports. For a sample of emergency room reports from the U.S. Consumer Product Safety Commission, see the U.S. CPSC laser page. Data from New Zealand’s national insurance system show that over the period 2000 to 2013, there was an average of 8.9 claims for laser eye or skin injuries each year. The average claim amount was NZD $93.63 (USD $61.42), which a representative said “would suggest the injuries were not significant.” The data includes all New Zealand laser injury claims, whether verified or not, from all sources including lasers used in industry and laboratories. Detailed statistics and analysis are in this article. Injury severity: If there is an injury, most often these are small spots in the periphery of vision. Often these heal or the brain “fills in” the spot so the person normally does not notice it. There have been some cases of near-total or total blindness caused by laser pointers or handheld lasers; usually these are self-inflicted. The Consumer laser eye injury info page has links to studies of some of these cases. Low potential for eye injuries to pilots - Permanent retinal damage from lasers aimed at aircraft is not a major concern of laser and aviation experts. While a laser-caused eye injury is theoretically possible, experts consider this highly unlikely thanks to various factors including relatively low laser powers and the relative motions of the handheld laser, aircraft, pilot’s head and pilot’s eyes. Helicopter pilots flying “low and slow” would be at greatest risk from any possible eye injury. Distraction/flashblinding of pilots - This is a significant concern for aviation. FAA incident reports rose from 384 in 2006 to a peak of 7,703 in 2015. Distraction/flashblinding of automobiles - This does not seem to be a significant problem. Motorist incidents are reported from time to time; one expert said he hears of “several media reports per year”. We are aware of one confirmed incident where a laser pointer aimed at a driver caused a three-car accident with body damage but no injury. We have not found any other reports of deaths, injuries or property damage attributed to laser pointer misuse against motorists (compare to roughly 65,000,000 automobile accidents in the U.S., in the past 10 years). Some persons have said that perhaps there have been fatal accidents caused by aiming a laser at a car (thus there would be no one alive to report the cause). However, the fact that we cannot find reports of less-than-fatal accidents causing injuries or property damage makes this unlikely. Misuse at concerts and sporting events - Distraction or disruption of the event is the major concern. Eye damage is unlikely to occur due to various factors including the illuminated person moving and closing their eyes. There are perhaps 1-2 news accounts of “laser louts” each month. Anecdotally, these incidents seem to be more prevalent outside the U.S. and often are soccer (football) related. Misuse and annoyance of the general public - This does not seem to be a problem, except in a few resort towns during the summer season where laser pointers are widely sold. (See these stories about Ocean City NJ and Ocean City MD.) For example, Ocean City MD reported that sales of 30,000 laser pointers in the first half of 2010 led to “Star Wars” on the boardwalk. Some resort towns such as Myrtle Beach SC have restricted sales and/or possession of laser pointers due to annoyance, and concerns over more serious misuse such as injury potential and aircraft dazzling. Injuries: About 5 worldwide in over 30 years. 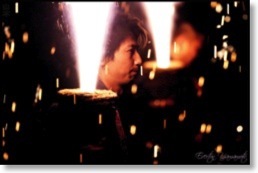 Since laser shows began in the mid-1970s, an estimated 110,000,000 persons have been exposed to 11,000,000,000 pulses of continuous-wave laser light in their eyes. These 11 billion exposures resulted in about 5 proven or suspected injuries, worldwide, in 30+ years of laser shows. Distraction/flashblinding of pilots: None. Specifically, the International Laser Display Association is not aware of any incidents linked to FDA-reviewed (“varianced”) outdoor laser shows since about the year 2000. While it is possible that illegally produced shows have illuminated pilots, ILDA is not aware of any of these incidents either in the past decade. (From about 1994 to 2000, outdoor laser light shows were a concern because the effect on pilot vision was not well understood. ILDA worked with SAE G10T to help develop FAA’s current guidelines and regulations.) For more information on the safety of outdoor shows, see the ILDA page. Source for injury statistics: “Scanning Audiences at Laser Shows”, which gathered injury reports from a private study, from Internet searches, and from the Rockwell Laser Industries incident database. Note: The above statistics on laser light shows are for continuous-wave (CW) laser light, which is the only type that should be used for audience-scanning shows. There have been three incidents where pulsed lasers were erroneously used and a total of 50 injuries occurred. Because pulsed lasers should NEVER be used for audience-scanning, only CW lasers are considered for laser light show injury statistics. The sometimes deliberate use of lasers against aircraft brings to mind another technology which has also been used against aircraft: shoulder-launched surface-to-air missiles. These are also called man-portable air-defense systems, or MANPADS. Deaths & attacks: “As many as 500 fatalities” from an estimated 35 MANPADS attacks on civil and commercial aircraft, since 2006. Wikipedia has a list of notable uses of MANPADS against civil aircraft. Source: Overton, Gail, “IR countermeasures aim for safer flights”, Laser Focus World, August 2011, p. 40. In 2012, there were 10,726 strikes of animals (10,343 were birds) on aircraft, that were reported to the FAA. 606 of these strikes caused damage to the aircraft. There was a negative effect on the flight for 7% of the bird strikes; usually this was in the form of a precautionary emergency landing (4%) or an aborted takeoff (2%). 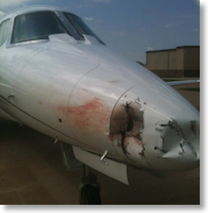 A Cessna Citation C560 hit a turkey vulture at 1,500 feet altitude AGL. It took 2 months and $200,000 to fix the damage. Compare this to the worst year for FAA-reported laser illuminations, 2015, which had 7,703 incidents of aircraft being illuminated by laser light. None of these "strikes" caused damage to aircraft. Fifty-three of these reported incidents (0.7%) caused a temporary adverse visual effect such as flashblindness, afterimage, blurry vision, eye irritation and/or headache. Over the 23-year period 1990-2012, there were 131,096 strikes of animals (127,212 were birds). During the same 23-year period, there were roughly 14,200 laser “strikes” reported to the FAA. 12,892 of the animal strikes caused damage to the aircraft; 60 aircraft were destroyed or damaged beyond repair. In the U.S. from 1990 to 2012, ten wildlife strikes resulted in 24 human fatalities. Globally, wildlife strikes have killed more than 250 people and destroyed over 229 aircraft since 1988 including the 19-fatality crash of a Dornier 228-200 in Nepal in September 2012 after a vulture was struck on take-off. 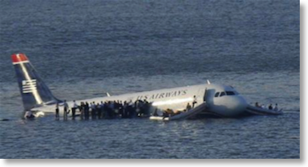 The best known bird-strike case in the U.S. is the emergency forced landing of U.S. Airways Flight 1549 in the Hudson River on January 15 2009 after Canada geese were ingested into both engines. Bird strike source: “Wildlife Strikes to Civil Aircraft in the United States, 1990-2012”, FAA National Wildlife Strike Database Serial Report Number 19, published September 2013. Laser source is here; data for 1990-2003 is extrapolated at less than 46 per year. Deaths: 160,000 Americans died from injuries in 2002. Injuries are the leading cause of death for people aged 1 to 44. Injuries: 28,000,000 Americans suffered non-fatal injuries in 2002. This is a minor injury that will soon heal -- an unavoidable part of leading an active, interesting life. Photo by Chris Penny at flickr, used under CC by 2.0 license. For the period 2002-2011, there were over 47,000 patients diagnosed with eye injuries resulting in hospitalization in the U.S. The leading cause of eye injuries was falls, with 8,425 over the ten-year period. Fighting was the second leading cause, with nearly 8,000 hospitalizations for eye injuries. The median cost of treating these injuries rose from $12,430 in 2002 to $20,116 in 2011. Source for eye injury statistics: "Economic Trends in Eye-Related Hospitalizations (PO118), a poster presented at the 2015 annual meeting of the American Academy of Ophthalmology. Summary here. Deliberately-caused injuries: In the U.S. in 2007, there were 76,000 visits to emergency rooms due to intentionally-caused injuries from "cutting or piercing instruments," according to CDC National Health Statistics (table 13). In Britain in 2008, there were 13,795 "victims of knife wounds ... admitted to accident and emergency departments", according to the Department of Health. Accidental injuries: In the U.S. in 2007, there were 2,089,000 emergency room visits due to accidental injuries from "cutting or piercing instruments or objects", according to the same CDC table referenced above. Assaults - The U.S. in 2008 had 138,720 aggravated assaults using "knives and cutting instruments", according to FBI statistics. In Britain in 2008, there was a similar number -- almost 130,000 assaults with knives, according to the British Crime Survey. Commentary from LaserPointerSafety.com: Handheld lasers are sometimes compared with knives and blades. Both objects have legitimate uses, and yet both can be misused to cause accidental injuries and deliberate attacks. There are various types and sizes of knives, just as there are different powers and colors of lasers. Some types of blades (switchblades, sharp swords) may be banned or regulated as being too dangerous, just as there have been calls to ban or regulate some types of lasers. Obviously there are differences as well. Lasers can annoy or harm at a distance, while knives are close-in weapons. On the other hand, handheld lasers cannot severely injure (except eyes, in rare instances, and we are unaware of any deliberate attacks that ended in blindness), and handheld lasers cannot kill a person. Deaths and injuries: Six Americans died and 8,700 were injured by fireworks in 2012, according to the U.S. Consumer Product Safety Commission. About half of injuries involve burns to the hands, head and face. About 20% were due to sparklers and bottle rockets, which are “often considered safe for small children” even though sparklers burn at 2,000 deg. F which is as hot as a blowtorch. According to the president of the American College of Emergency Physicians, “There’s no such thing as completely safe fireworks.” Photo by Everton Yamamoto at flickr, used under CC by 2.0 license. Injuries: A hospital’s emergency room reported three cases of bloody eye injuries, all within a 3-month period, caused by a Nerf gun “bullet” being fired into an eye. An 11-year-old had swelling that could lead to vision loss. Two adults were treated with medicated eye drops and recovered. In all cases there was more than 1 mm of traumatic hyphema (pooling of blood in anterior chamber of the eye), indicating significant ocular trauma. The doctors noted that “Significant Nerf gun ocular injuries are not reported in the literature, as far as we know.” They recommended that those using or in the path of Nerf guns wear protective goggles. An additional case is described in a comment to a story published at AboutLawsuits.com. The commenter said he was shot in the eye by his son from 20 feet away, “causing temporary total blindness and lots of pain.” This was with a Nerf Firestrike Elite gun using Nerf Elite bullets. Source: BMJ Case Reports, published online September 18 2017 and the Daily Mail. Thanks to Greg Makhov for bringing this to our attention. Injuries: During November and December 2010, there were more than 13,000 U.S. emergency department visits due to injuries related to holiday decorating. Most injuries were due to falls while putting up Christmas lights. In one case, a man slipped and got his neck tangled in the lights. He was rescued by a neighbor before strangling but the incident left a ligature mark across his throat. Injuries: From 1990 to 2009, there were more than 65,000 U.S. emergency department visits by children under 18 for battery-related issues. As of 2012, over 3,250 American children are admitted to emergency rooms each year for swallowing batteries, primarily button types. That is one visit every three hours. The numbers are on the rise, according to a 2012 report in Pediatrics. Microcurrent from body moisture can burn a hole through the esophagus within two hours. Deaths: Nine children died from 2004 to 2009 in the U.S. from complications due to ingesting button batteries. Deaths: Each year in the U.S., an average of 4.5 children die after falling out of windows. Accidental injuries: Each year in the U.S., more than 5,000 children are taken to the hospital due to injuries from falling out of windows. Of those, about 25% or 1,250 are admitted to the hospital due to the injuries being serious. 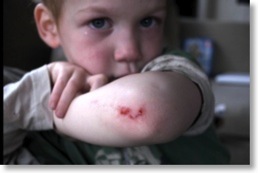 The rate is about 7.3 window-related injuries per 100,000 children. Source: MSNBC story about a 2011 report in the journal Pediatrics. Injuries: In the decade from 1999 to 2008, 932,000 children under the age of 5 were hurt in stair accidents in the U.S., according to a study in the journal Pediatrics. The rate is 465 stair-related injuries per 100,000 children. The study blamed “preventable factors” such as stairway design, consumer awareness and parental education. 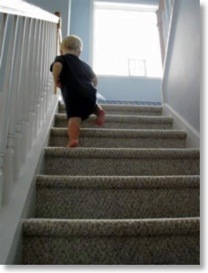 In the U.S., each year an average of 93,200 children under the age of 5 are hurt in stair accidents. Photo by Doug Waldron at flickr, used under CC by 2.0 license. Source: MSNBC story about a 2012 report in the journal Pediatrics. Deaths: Between 2000 and 2011, 215 U.S. children died from injuries caused by a falling TV -- one every three weeks. This happens when the TV tips over and crushes the child. As of April 2017 they have information about the following consumer products: Baby Slings, Bassinets, Defective Dressers, Drop-side Cribs, High Chairs, Magnets, Metal Children’s Jewelry, Strollers, Tube Televisions, Trampolines and Window Blinds. They also have information about medical dangers and consumer safety devices and drugs. Injuries: The CPSC estimated that in 2016, 30,800 injuries severe enough for emergency room treatment were caused by amusement park attractions. The Outdoor Amusement Business Association claims that 60 percent of ride injuries are caused by guests behaving inappropriately. NBC News story, “Number of Accidents Due to Amusement Park Rides Might Be Higher Than You Think”, July 28 2017. In 2011, 61 persons in the U.S. were injured by amusement park rides seriously enough to require an overnight hospital stay. Photo by specialoperations on flickr, used under CC by-SA 2.0 license. 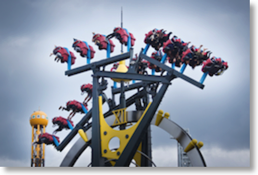 Figures from an industry association: According to the 2011 Fixed-Site Amusement Ride Injury Survey, approximately 297 million guests visit the 400 U.S. amusement parks annually and take 1.7 billion safe rides. The chance of being seriously injured on a ride at a fixed-site park in the U.S. is 1 in 24 million. 61 out of the 1,415 ride-related injuries, or less than 5 percent, required overnight treatment at a hospital. Wikipedia has a page on “Amusement park accidents” which lists some statistics, and also has links to other Wikipedia pages about incidents at various amusement parks. Deaths: As of mid-2010, there have been at least three recent reported deaths: a Pennsylvania man in June 2010, a 5-year-old boy killed in Kansas in March 2010, and a 5-year-old girl drowned in Florida in January 2010. Source: Associated Press story via MSNBC, June 7 2011. Injuries: There are approximately 3,700,000 emergency room visits annually for injuries related to participating in sports and recreation, according to a 2005 study by the Centers for Disease Control (see sentence 1 under Priority C). Alcohol: Binge and heavy drinking cost U.S. society at least $224 billion in 2006, according to a 2011 study by the Centers for Disease Control and Prevention. The study looked at medical expenses, property damage from car crashes, lost productivity, and incarceration costs. Binge drinking was defined as four or more alcoholic beverages on one occasion. According the CDC, this works out to $1.90 per drink in costs to society. Cigarettes: The U.S. societal cost of smoking is estimated at $193 billion per year. Lack of exercise: The U.S. societal cost of lack of exercise is estimated at $150 billion per year. Source: Associated Press story via Atlanta Journal-Constitution, October 17 2011. From 2002 to 2012, police pursuits in one state, California, killed 321 persons and injured more than 10,000 people. A state law was passed in 2006 trying to reduce this collateral damage; however, the incidents have increased since that time. Currently, there is one death for every 132 California chases. An advocacy group says that across the entire U.S., pursuit-related crashes kill over 250 people per year. Source: A study by NBC Los Angeles, as reported June 19 2012 by MSNBC.